Picked up an old Suffolk super punch last year. Its a bit blunt but runs nicely most of the time. It tends to stall when it gets loaded up (long grass for example) even when moving slowly. If I keep the choke open (as when cold starting) it runs perfectly, although I’m sure it’s not good for it to be running rich all the time. 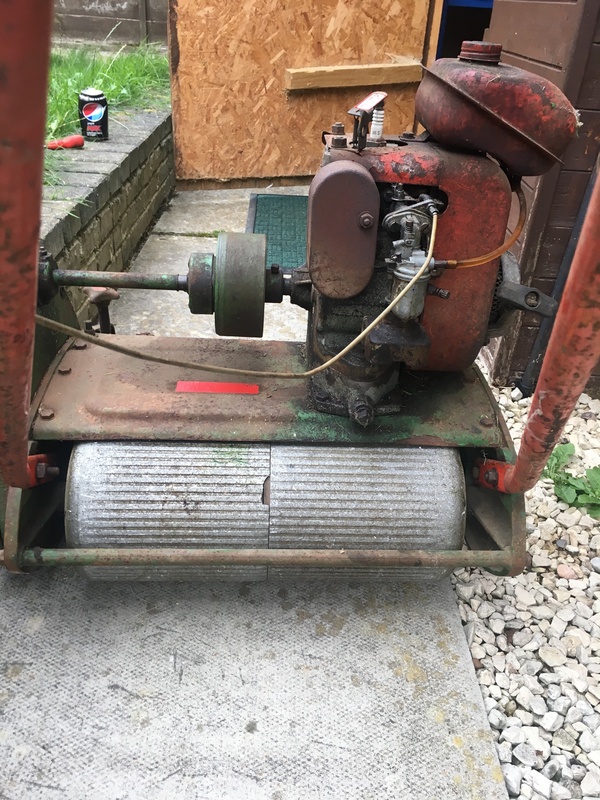 The spring mechanism thing on the top of the carb appears to be moving around as it should, is this likely to be a carb problem or something else? Also, any ideas around what year this one was built? I can’t see any dates on it, but from what I’ve picked up I think it’s ‘60s. 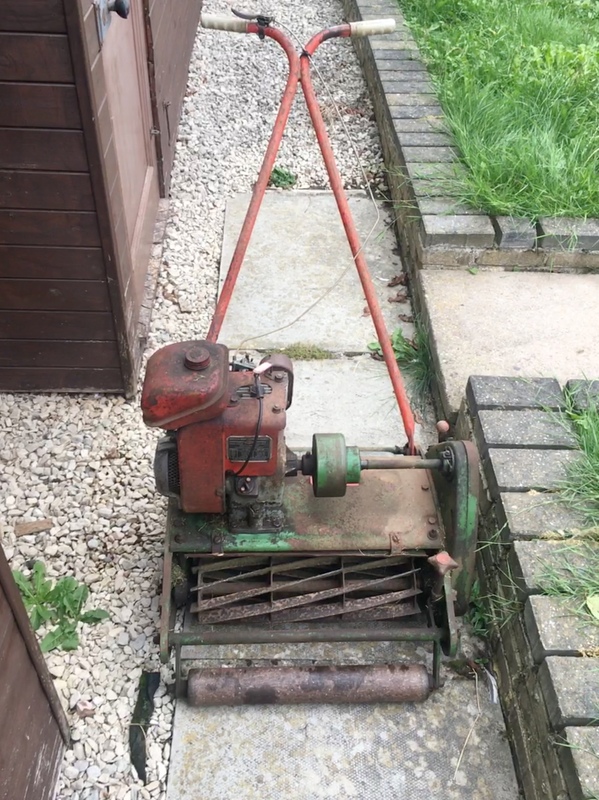 I’ve given it an oil change, new plug and had to replace the fuel tap (leaking after a bodged repair of the cork bit by previous owner) but it goes ok for an old bit of kit! What you have is a Punch Professional with a. ten? Bladed cylinder instead of the usual six on the domestic machine. Intended for tennis courts, bowling greens and cricket wickets and cutting off around a quarter of an inch, or less, at a time. So that’s a possible reason for it to be struggling with normal mowing. That said it may just need a carb clean or even unscrewing (anti clockwise) the main jet an eighth of a turn or so. The main jet is that knurled head screw just below the fuel pipe in your pic. Ah that could well explain it. First mow of the year so it was doing a lot more than 1/4” at a time :D needing a sharpen won’t have helped, but I suspect I need to get that done properly as I think it’s beyond what a back-lapping will sort. I need to get some new foam for an air filter, I’ll give the carb a clean and see how it goes.